N84SF of SOUND FLIGHT, at Renton, Washington. C-GHAS in regular Harbour Air house livery. C-GHAS landing at Coal Harbour, Vancouver. C-GHAS / 310 heads out from Vancouver seaplane dock. C-GHAS / 310 of HARBOUR AIR, at Coal Harbour, Vancouver, British Columbia. C-GHAS still flying in neutral. • 57-6136 United States Army. Delivered 05-Sep-1958. Designated U-1A. Initially allocated to 2nd Missile Command, (Medium) Fort Hood, TX. Unit moved to Fort Carson, CO. Date unknown. Sep-1959. 57th Aviation Company at Fort Sill, OK.
January 1962. Attached to the Headquarters Company, 15th Military Intelligence Battalion, Fort Bragg, NC., with the unit deploying to Fort Huachaca, AZ., on occasions. Oct-1963. Attached to the Aviation Section at Fort Ord, CA. Nov-1963 17th Aviation Company at Fort Ord, CA. Jun-1964 The Otter Transition School at Fort Ord, CA. Aug-1971 transferred to US Army Aviation School, Cairns AAF, Fort Rucker, Alabama. The School came under the United States Army Aviation School Command (USAASC) and was based at this location. 29-Mar-1972 US Army Aviation Museum at Fort Rucker. N84SF Sound Flight Inc of Renton Airport, Seattle, WA. Regd Jun-1994. I early years deployed to De Land, Florida during the winter. Later remained stored at Renton during winter. Power plant. Converted to P & W Vazar turbine. • C-FADW Transwest Air Limited Partnership, by its General Partners, 101008427 Saskatchewan Ltd., and 101004597 Saskatchewan Ltd., Prince Albert, SK. Regd 30-May-2002. Canx 16-Oct-2002. Deleted on export to USA 19-Feb-2003. • N84SF Returned to Sound Flight, Renton, WA Feb-2003. • N84SF Airlease Inc., Renton, WA. Regd 19-Feb-2003. 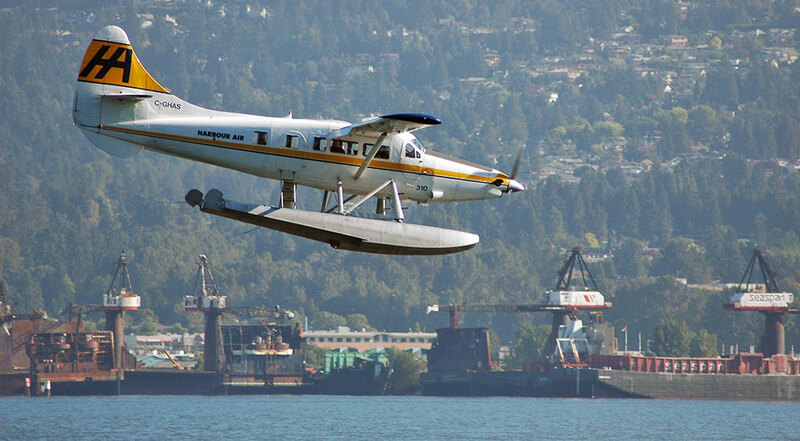 • C-GHAS Harbour Air Ltd., Richmond, Vancouver, BC. Regd 24-Mar-2003. f/n 310. Otter 284 was delivered to the United States Army on 5th September 1958 with serial 57-6136 (tail number 76136). It was delivered from Downsview to Fort Hood, Texas, one of four Otters delivered around this time to the 2nd Missile Command, which subsequently moved to Fort Carson, Colorado. The Otter served there until September 1959, then being re-assigned to the 57th Aviation Company at Fort Sill, Oklahoma. By January 1962 it was attached to the Headquarters Company, 15th Military Intelligence Battalion at Fort Bragg, but spent some of its time at Fort Huachuca, Arizona. In October 1963 it joined the Aviation Section at Fort Ord, California and the following month it joined the 17th Aviation Company at Fort Ord and then in June 1964 the Otter Transition School at Fort Ord. It continued to serve there until the School was closed and in August 1971 transferred to the US Army Aviation School at Fort Rucker, Alabama. 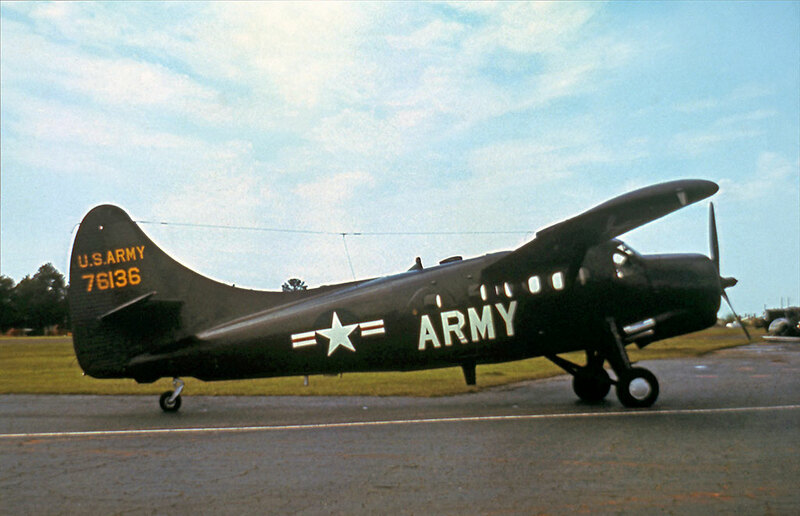 The School came under the United States Army Aviation School Command (USAASC) and was based at Cairns AAF., Fort Rucker and as well as the Otter also flew the Beaver, Beech U-21A and T-42 Baron. 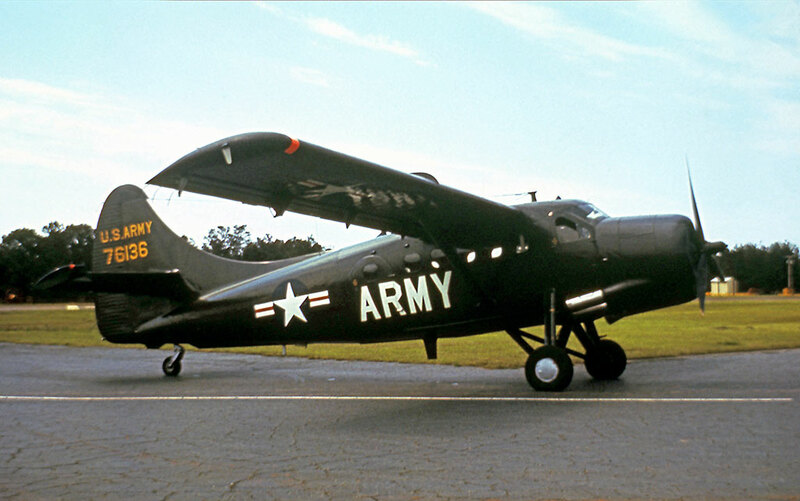 The Otter continued in service with the School until 29th March 1972, on which date it was handed over to the US Army Aviation Museum at Fort Rucker. 76136 was put on display at the Museum and remained as an exhibit until 1993, when it was decided to sell the aircraft, and replace it as the museum exhibit with Otter 76135 (283), which was then in storage at Fort Rucker. 76136 was advertised for sale, and sold to Sound Flight Inc of Renton Airport, Seattle, Washington to whom it was registered N84SF in June 1994. It was converted to a Vazar turbine Otter and modified with large panoramic windows, the first such conversion. 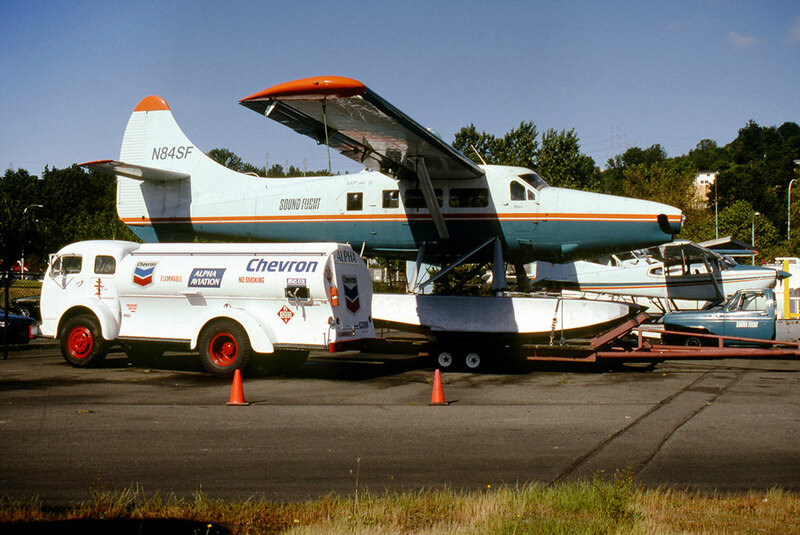 For the next eight years, it flew from Renton as a floatplane, on scheduled and charter work along the Pacific coast. 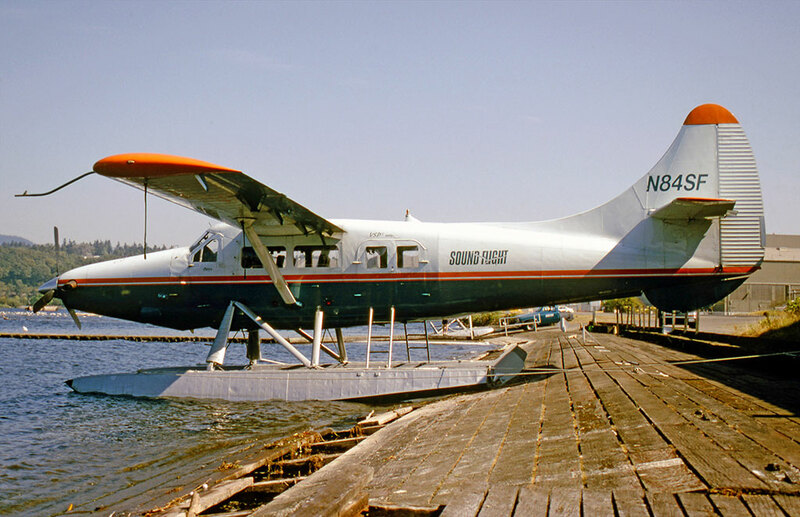 Sound Flight Inc operated scheduled services to Victoria on Vancouver Island, to the San Juan Islands and to points along the Inside Passage, during the summer months, using either the Otter or one of its Beavers, depending on the load, and also flew charters serving those areas. During the summer months, the Otter was heavily tasked, flying fishermen to lodges. During the first few years of its operation by Sound Flight, the Otter deployed to De Land, Florida during the winter, where it was used for skydiving, which helped pay for its keep. In more recent years, it was stored at Renton each winter. In 2001, the owners of Sound Flight Inc., decided to close down the business and instead lease out their aircraft. 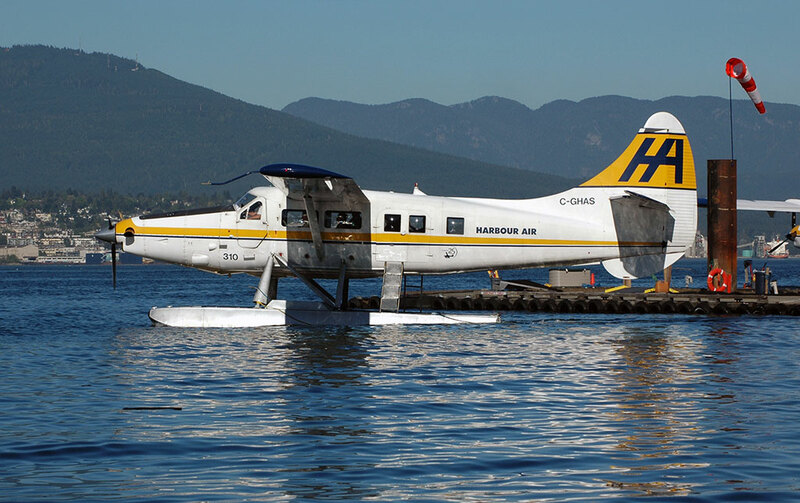 The Otter was transferred to Airlease Inc., Renton on 5th March 2002 and then leased to Transwest Air for the summer of 2002, being registered C-FADW to Transwest Air Ltd., Partnership, Prince Albert, Saskatchewan on 30th May 2002. It remained in Sound Flight colours during this lease, and was based at Hatchet Lake in the north-east of Saskatchewan, serving a fishing lodge. It passed through Vancouver on 14th October 2002 returning to the lessor. It was then re-registered to Airlease Inc as N84SF on 19th February 2003, being sold on the following month to Harbour Air Ltd., of Vancouver, registered C-GHAS on 24th March 2003. It was re-painted into the Harbour Air colour scheme and entered service as part of their large fleet of turbine Otters on their commuter services. 16 June 2006. After push-off from the dock at Bedwell Harbour and during engine start, the float-equipped Otter drifted into the stern of a pleasure craft tied to the dock. The rotating propeller struck the transom and quarterdeck, causing substantial damage to the vessel, although there were no injuries. The Otter’s engine and propeller were changed as they had suffered substantial damage. 25 October 2006. C-GHAS struck a seagull landing at Victoria Harbour. 26 November 2006. The pilot of C-GHAS was en route from Victoria Harbour to Vancouver Harbour, planning to transit the Vancouver Control Zone. Weather in the Zone was below VFR limits. The pilot elected to set down near the coal pile and see if the weather would improve. The pilot advised ATC he would make his own arrangements with the company. 2 October 2009. C-GHAS en route from Victoria Harbour to Vancouver Harbour. The Otter was northbound on the Oak Bridge VFR transit route at 2,500 feet. In the vicinity of the Vancouver VOR, due to deteriorating weather (lowering cloud) the pilot found it necessary to descent to 2,000 feet. As the Tower frequency was busy, the descent was begun before receiving clearance. At 2,300 feet the Otter received Tower clearance to 2,000 feet. At 2,100 feet the Tower passed traffic at eleven o’clock one mile at 1,900 feet heading towards the VOR. The Otter was not yet completely below the cloud and the pilot could not see the traffic, so the Otter levelled off. The Tower instructed the Otter to climb immediately since the traffic was only half a mile away. The Otter climbed steeply to 2,400 feet and then descended normally to 2,000 feet. The traffic was a privately registered Cessna 182 which was supposed to maintain 1,500 feet, was not on the Vancouver Tower frequency and was flying to the Boundary Bay airfield. 19 August 2011. The Otter was landing at Victoria Harbour. It made a missed approach for an eastbound landing due to a tug and a barge being in the way. The FSS had told the Otter twice about the tug and barge prior to its turning onto finals. 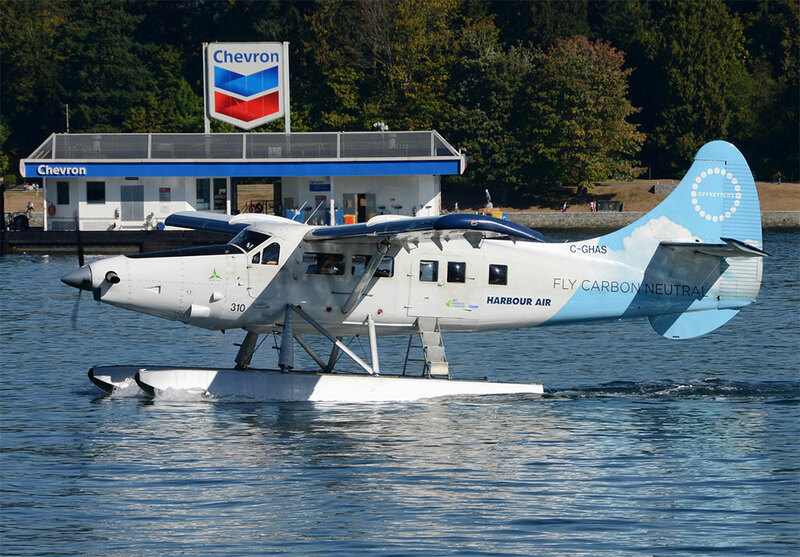 By April 2012 the Otter was in a revised colour scheme of all white fuselage, blue tail with clouds, “Fly Carbon Neutral” on the rear fuselage and small Harbour Air titles. 2 October 2012. The Otter departed Victoria Harbour but had not turned on its transponder. Attempts by ATC to contact the flight four times resulted in no response. The aircraft was within the Mandatory Frequency Area and was not maintaining contact on the Mandatory Frequency. 1 March 2014. Air Canada Jazz Dash 8 on flight JZA8066 en route Victoria to Vancouver. The Otter was en route Vancouver Harbour to Victoria Harbour. Ten miles north of Victoria International Airport the Dash 8 was IFR at 3,000 feet. It climbed in response to a Radar Advisory from the Otter at 2,500 feet. Traffic had been passed to the Dash 8, which reported the Otter in sight before the Radar Advisory. 7 February 2015. A Mooney M20 from Nanaimo to Victoria flew south-east into the Victoria Tower’s Class D airspace to Active Pass at 2,500 feet before turning east towards Pitt Meadows. It did not make contact with the Tower. 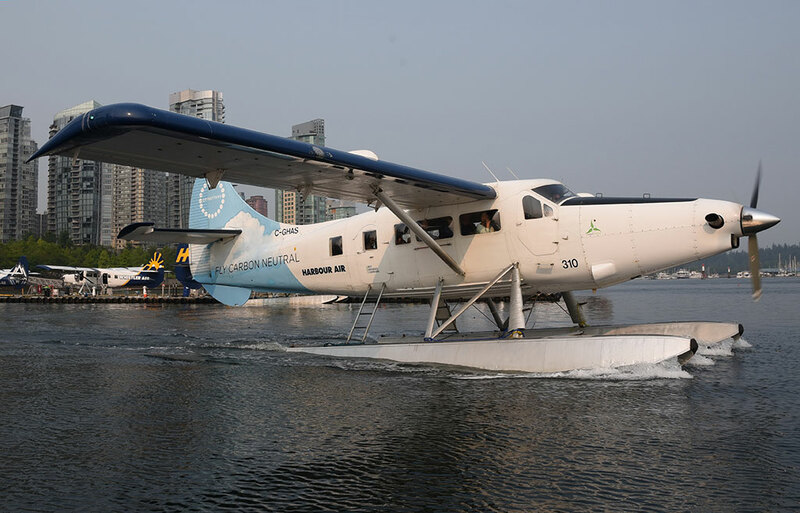 In the vicinity of Active Pass it came within one mile of the Otter, which was flying from Vancouver Harbour to Victoria Harbour at 2,000 feet. Traffic was passed to the Otter and the Mooney was reported in sight. 5 March 2015. West Jet Boeing 737-800 C-GWSV on flight WJA1908 Victoria to Las Vegas departed Victoria eastbound and was initially cleared to 3,000 feet. Traffic was passed to WJA1908 regarding the Harbour Air Otter from Victoria Harbour to Vancouver Harbour, northbound VFR at 3,500 feet. Traffic was also passed to the Otter, which reported WJA1908 in sight. Immediately prior to passing the Otter, the 737 reported responding to a traffic alert and TCAS resolution advisory and descended 200 feet. 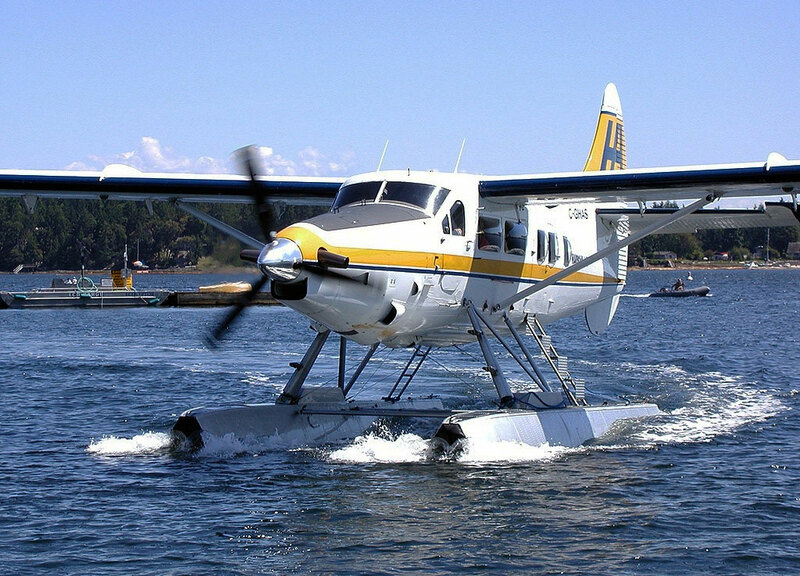 As at summer 2018 Otter C-GHAS remained in service with Harbour Air. Full history up to 2005 courtesy of Karl E Hayes © from DHC-3 Otter - A History (CD-ROM 2005), now with added and updated information which Karl has supplied for the benefit of the website.